PlayerUnknown's Battlegrounds is an online multiplayer battle royal game, released in 2017. In this action-packed video game you land as one of up to 100 players on an island – without any equipment. Optionally you can also compete as a small team of 2-4 players. As the habitable area of the island continues to shrink, you have to look for weapons and other equipment, and kill each player that crosses your path. The goal is to be the last living player or the last living team that is on the island. What seems like a video game adaptation of “The Hunger Games” is the biggest hit of the so-called Battle-Royal games. The game was designed by a popular developer in the video game industry – Brendan “PlayerUnknown” Greene. He was known for his collaboration in numerous other successful games, especially his own Mod in Arma 2 (“DayZ: Battle Royale”). 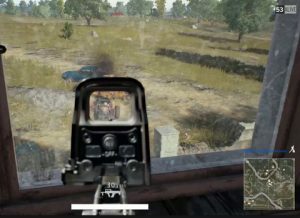 Although PUBG sounds like a ruthless carnage, it is quite beneficial to proceed strategically. If you risk too much and are always on the open battlefield, you are nothing but an easy target and will fall victim to the other players. If you are only hiding to survive, you miss the opportunity to get good weapons. The shrinking of the map makes it impossible to hide forever anyway, at some point you have to face your enemies. Although the game is still very young, the first offline tournament is already in range: at the Gamescom in Cologne, the 80 best PUBG players will compete against each other in different modes at Gamescom PlayerUnknown's Battlegrounds Invitational from 23rd to 26th August 2017. At the moment there are no odds available , but due to the high range of the tournament, one can speculate that at least bet365 will offer betting odds. For example, a bet on the overall winner of the tournament would be feasible. With a $ 350,000 USD prize, the event hosted by ESL is plain to see – similar high rewards for the first tournament of a newcomer game are rare. Of course you can also follow the event online via Twitch.tv, Youtube or Facebook. If you are interested in betting on PUBG but you do not have any experience with bookies, you should first inform about betting on eSport in general. If the Gamescom PUBG Invitational is well received by the viewers, which is quite to be expected, there will certainly be more tournaments in the future. How fast a video game develops from his release to his own E-sports league was only recently revealed in the team-based ego shooter Overwatch. However, a PUBG league is currently not debated.